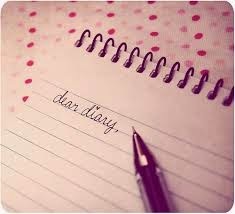 I think every IVF patient should keep a diary to document their IVF journey. A diary might seem like a strange concept but it is something which is extremely valuable. It is going to be your companion through your journey and actually serves multiple useful roles. For one, it provides a lot of emotional support, as it allows you to unburden some of your thoughts, fears and anxieties. Sometimes it can be hard to express this even to your spouse , and being able to write down your thoughts in a diary is an extremely useful venting mechanism. Interestingly, using a diary as a tool of emotional support has been therapeutically validated. Research studies have shown that patients with breast cancer who keep diaries live longer as compared to those who don't ! Unfortunately, it is one of those things which most doctors don't prescribe, which is why it is so sadly under-utilised, but it is such a simple zero-risk, zero-cost option that I think every patient should use it actively. Not only does keeping a diary help you support yourself, it also helps you clarify some of your thinking when you are not sure as to what to do next ? One more IUI cycle ? or is it time to move on to IVF ? should you change your clinic ? or consider using donor eggs ? It allows you to note down your questions and doubts, so that rather than keep you awake all night, you can note them in your diary and then find answers to them the next day. Even better, it actually helps you answer some of them. This is because sometimes you find that you are worried and concerned about something, but you are not sure what exactly is the reason for the worry. If you write this stuff down , it helps you to clarify your own thinking , and then you can ask your doctor more intelligent questions . You can also do a Google search , to find out more about exactly what is bothering you. As Bacon said, 'Writing maketh an exact man', and your diary will help you to remain in touch with both your heart and your head . If you are upset about something the doctor said , or have complaints about the nurses at the IVF clinic, rather than lose your cool, you can vent your frustrations by recording your complaints in your diary. This will help you cool off quicker, so you won't be so angry the next time you see that nurse. Sometimes it can be hard to get started , when you are confronted with a blank page, but you will find that it gets easier with time. Just be disciplined, and try to make sure you make at least one entry daily. When you review your diary at the end of the cycle, your notes will help you understand what went right and what went wrong, so that you have excellent documentation of your treatment . You can share this with your doctor , and this meticulous record keeping can then help him to fine-tune what to do differently in your next cycle . Your diary can be a valuable personal health record, which your doctor can use , and so can you. Part of the problem is that we often forget things very quickly, even though we don't realise this, and keeping a diary helps to keep things fresh, so you can refer to it later on when required. Just like doctors keep medical records, I think it is extremely important for patients to keep patient records as well. Both of these provide complementary information , and they are both equally useful. Sharing your experiences in the form of your diary (which perhaps you can do anonymously on a blog ) can help other infertile women during their infertility journey, so you can put some of your experiences to good use. As we all know, the best way of helping yourself is to help someone else. All of us have a streak of altruism and we want to transmute whatever experiences we go through, so that some good comes of them. A diary will allow you to extract useful information from your personal IVF experiences, and this format can help someone else when they go through their IVF journey themselves. Finally, when your kid becomes a teenager and starts behaving like a brat, you can show him your IVF diary , so he learns how hard you had to work in order to bring him into this world - hopefully that will make him a bit better behaved !